Pumphrey Law Blog What is a Capias Warrant in Florida? What is a Capias Warrant in Florida? What is a capias in Florida? A capias is a court order directing the arrest of a person/defendant. In layman terms, a capias is a tool utilized by the court to have a person physically arrested, detained and brought before the court. If a court deems the issuance of a capias is needed, the court will direct the Clerk of Court to issue a capias. Many persons are unaware but a capias may be issued by the court or sometimes a prosecuting attorney. This rule can be found in the Florida Rules of Criminal Procedure under Rule 3.730. What do I do if I have a capias? Contact a qualified, experienced criminal defense attorney immediately and give them all the information concerning the possible issuance of a capias and any information you may have to assist the attorney in evaluating the circumstances. How do I handle a capias? You do not handle a capias, also known as an arrest warrant, on your own. The only thing you can and must do is turn yourself in to the local jail if you have confirmed that a capias was issued legally for you. I tell people all the time to turn themselves in, immediately (then we deal with the judge or prosecutor at first appearance which is within 24 hours. Nobody wants to sit in jail). If there is a capias, you do not want to put yourself and others in danger should a law enforcement officer find you. The circumstances may involve a young, inexperienced officer and could also involve the officer receiving the wrong information and having to pull his/her gun or taser because of the misinformation. Additionally, most courts do not look at a person who voluntarily turns himself/herself in on an active capias as a flight risk and will usually take that fact into consideration when determining release on the capias. On the other hand, if you intentionally avoid the capias you could be creating unnecessary liability for both you and those persons who are letting you stay with them and are helping you avoid the capias. Never take a bad situation and make it worse. Avoiding a capias is bad and makes a bad situation worse. 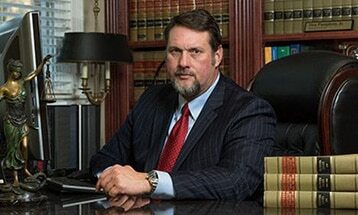 Hire an attorney who is experienced to give you good advice and assist you in handling in situation involving a capias.